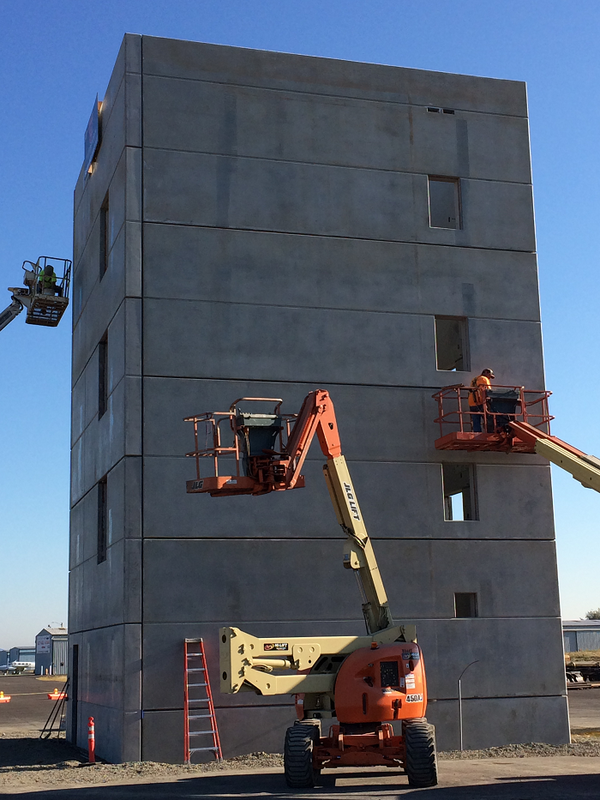 Construction of Aurora State Airport’s air traffic control tower continues, as workers perform exterior work in beautiful weather. Aurora has Oregon’s fourth busiest airport. 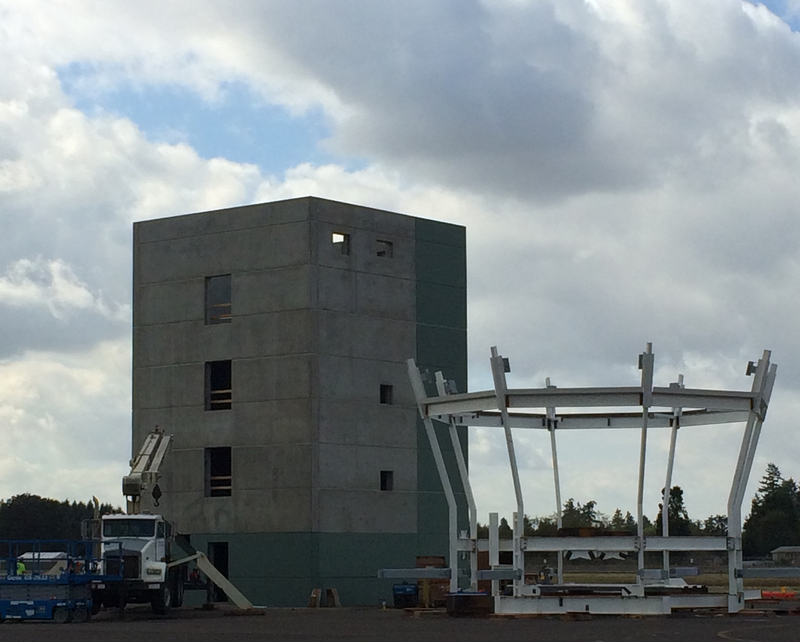 Construction of the Aurora State Airport control tower is estimated at 3.3 million dollars, with completion expected around January, 2015. The airport was built by the United States Army Air Forces in 1943 when it was known as the ‘Aurora Flight Strip.’ It was an outlying supporting airfield to Portland’s Army Air Base for military aircraft on training flights. 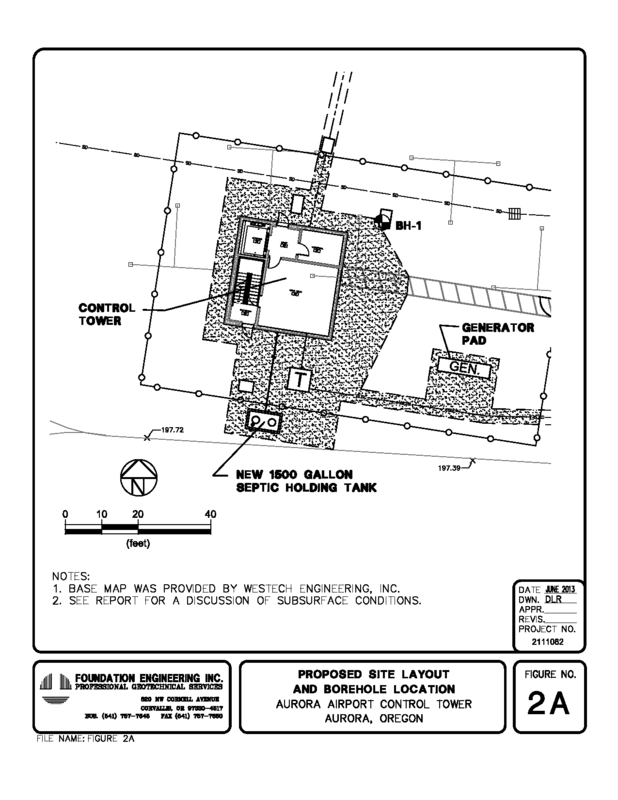 The future Aurora Airport was then closed after World War II, and turned over for state government use by the War Assets Administration (WAA). The new Aurora State Airport tower has been on and off the facility’s master plan since 1978. Given the airport’s mixed traffic use of corporate jets, air-ambulance, recreation flyers, plus fixed wing and helicopter training operations, combined with a no radar service below 2,500 feet, aviation professionals consider the new tower critical to air safety. The Oregon Department of Aviation arranged funding for the tower with state lottery dollars, along with FAA and other state funds.